The Sacramento River below Shasta Dam – known as the Lower Sacramento, or “Lower Sac” – has to be rated as among the best tailwater fisheries in the country. 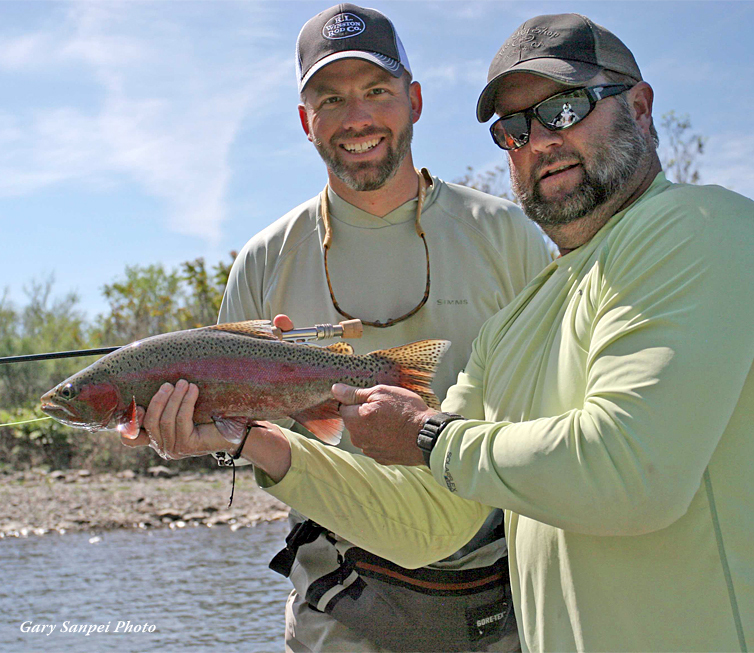 Its wild rainbows are big, tough, and plentiful, and the river’s controlled flows, combined with northern California’s temperate climate – result in near-optimum fishing conditions nearly every day of the year. Our guides concentrate on the 16 trout-filled miles between Redding and Anderson, and the 30 red-hot fly fishing miles as the river winds its way toward Red Bluff. The character of the Lower Sacramento changes dramatically as it carves its way south through the Central Valley. The upper sections meander through the city, through parks, below office buildings, beside golf courses, and through the back yards of residential Redding, while downstream stretches flow through majestic canyons and designated wilderness areas. Each of the half dozen float trips cover from 6 to 14 miles during a typical fishing day, and our guides typically choose the best float for the day based on conditions. Included in your guided angling package on the Lower Sacramento River is 8-10 hours of guided fishing with lunch provided. 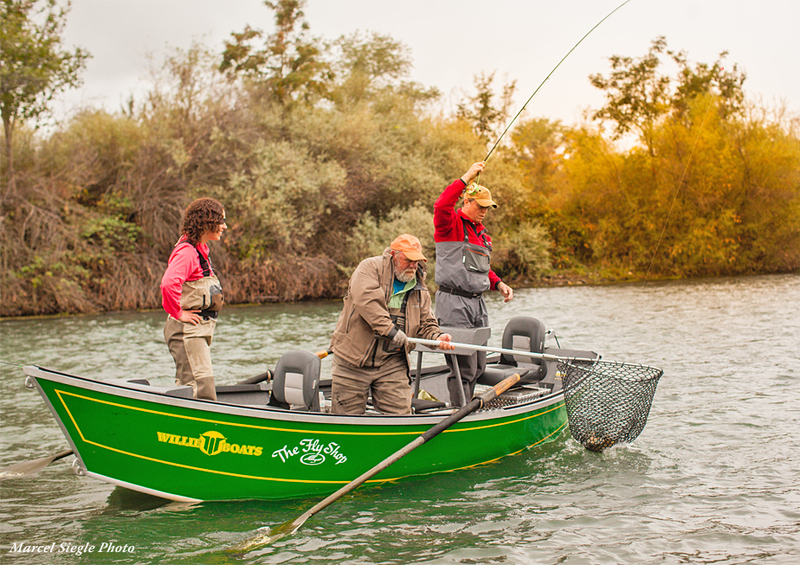 We are truly fortunate here in California to have such an incredible year-round fishery in the Lower Sacramento River. For years people just considered the Lower Sacramento to be an off-season fishery, somewhere to toss a few casts when other rivers weren't fishing well. More and more, however, anglers are realizing that the Sacramento is really a great option for catching trophy rainbow trout nearly every day of the year. 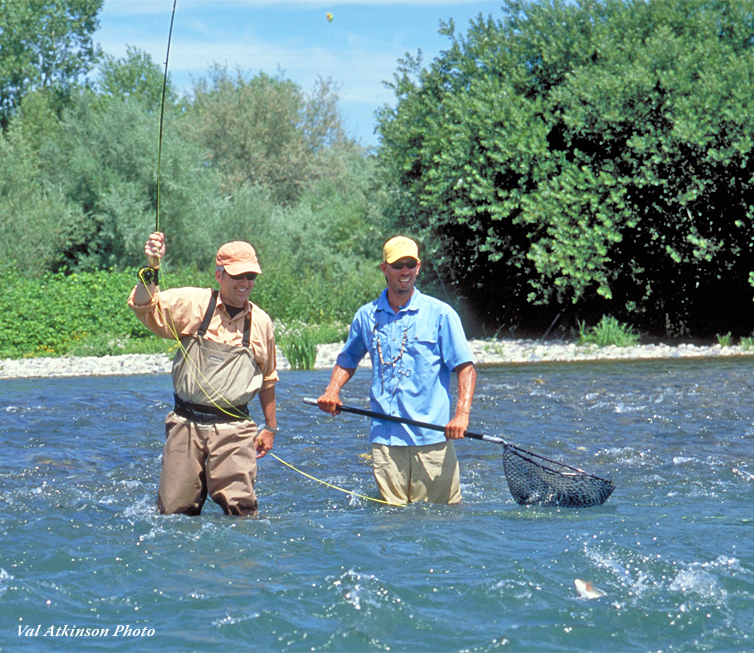 The Springtime on the Lower Sacramento River is generally the most productive time of year to fish dry flies. Midday brachycentrus Caddis hatches (often referred to as the Mother's Day Caddis across the West) can blanket the water, occasionally producing sporadic surface activity from hungry trout. Sometimes there's just plain too many Caddis on the surface, and the fish will focus on subsurface patterns. The Sac's rainbows are also busy trying to bulk up before they spawn, so the fish eat very actively, and the Spring can be one of the best times on the river for hooking epic numbers of fish. 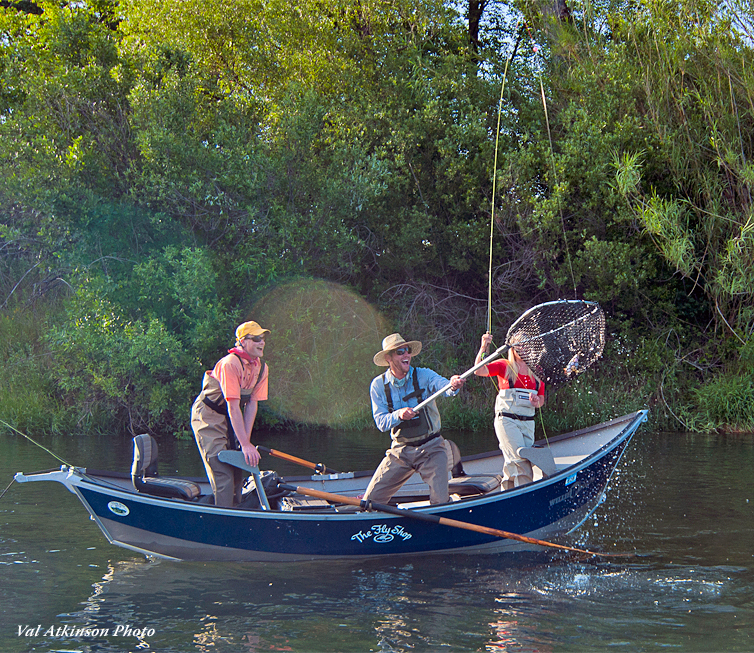 Summer can be hot on the Lower Sacramento River... both the fishing and the weather. In fact, days of 100 degrees and more are quite common. Fortunately, the constant cool water temperatures (56 degrees) we have in the river helps to keep both anglers and fish cool during the midday heat. All Summer there is a focus on the Hydropsyche Caddis that emerge in the late-afternoon and evening. This creates excellent fishing throughout the afternoon on emerging Caddis pupa and even dry fly opportunities sometimes in the evenings. 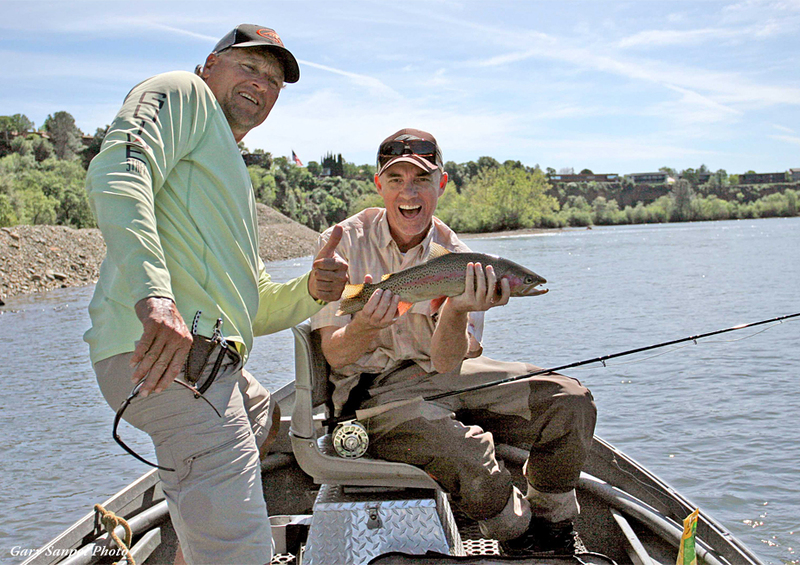 Over the decades, we've learned that whenever possible the most productive way to fish the Lower Sacramento River in the summer months is to start late and fish late. 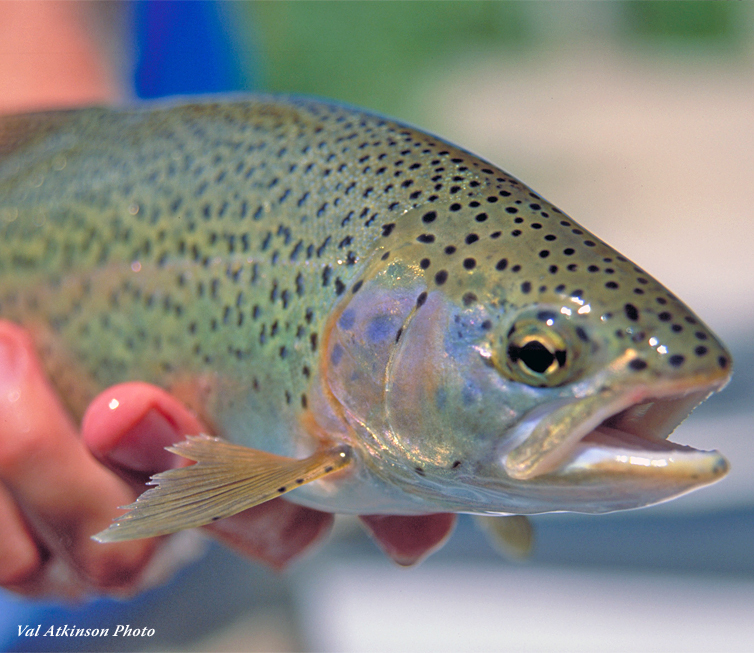 The trout often don't start feeding until after 11:00 anyway, so there's never a rush to get on the water early. In fact, our favorite summertime schedule is to start around noon and fish into the evening, hopefully finding some dry fly action at the end of the day. Fall is a special time of year on the Lower Sacramento River. The nights begin to cool, the colors start to change, and the fishing for trout and steelhead is at its peak. Starting in September, the water starts to recede from the high flows of summer, and shortly thereafter first of the Fall run of Chinook Salmon begin to arrive. As salmon begin to lay their eggs in the tailouts - usually by the first week in October - fat hungry Rainbow Trout move into the shallows as well to gorge themselves on the eggs and aquatic insects kicked up by the spawning Salmon. There are still caddis hatching in the evenings, and on slightly overcast days in October and November we can see some good Baetis hatches, too. One of the biggest highlights of the fall season is the arrival of Steelhead in the lower reaches of the river, from Anderson down to Los Molinos. These lower floats take you through some beautiful, rural countryside decorated by monstrous valley oaks and pock-marked by molten rock left over from the region's volcanic past. When our guides drift this lower river they will frequently hook into one or two of these angry brutes in a day (although landing them is often an entirely different story! ), along with the healthy resident rainbows that the Lower Sac is famous for. By December the weather starts to turn cold and winter storms are more frequent, keeping many of the anglers that come to fish the Lower Sacramento River in the Fall at home so that the die-hards on the river frequently have the water to themselves. The Late-Fall run of Chinook Salmon enter the spawning gravel, so there are still plenty of eggs popping loose. The trout have been feeding heavily on a high-protein diet for several months, and their girth in the winter is evidence. We don't always get the number days this time of year, but it is definitely the best time of year to catch truly massive Rainbow Trout; we're talking about fish that are better measured in pounds than inches! In addition to eggs, the winter months show us some of the best Baetis hatches of the year. Any overcast, drizzly day will bring off thousands of these tiny mayflies, and if you're lucky you may even get some shots at casting dries to rising trout! Flows on the river are also at their lowest during the winter months, making wade-fishing a good option on the many riffles and gravel bars that are submerged through much of the year. thousands of homes. At the same time, the Sacramento River Delta began a catastrophic decline, and one of the most formidable runs of Chinook Salmon in the world was decimated. When we opened The Fly Shop® in 1978, the tail water below the dam, now commonly known as the Lower Sacramento River, could hardly be considered a quality trout fishery. The hatcheries were a failure, and the town of Redding had a population larger than spawning runs of salmon that had once numbered in the millions. Then the California Department of Fish & Game, in a desperate search for a solution to the decline of the King Salmon hit upon the construction of a Temperature Control Device (TCD) to extract colder water from the depths of Shasta Lake and send it downstream. The logic was that cooler temperatures would enhance successful salmon spawning. In 1992 the TCD was completed, and the Lower Sacramento River near Redding maintains a consistent temperature today of approximately 56 degrees. These colder flows at first appeared to be working, as the salmon runs slowly began making a comeback. But the cooler, more consistent water temperatures have proven to be far more beneficial to the Sacramento River trout population. Harry Rectenwald, former DF&G Fisheries Biologist for the Sacramento River, has explained that the phenomenal trout fishing that developed on the Lower Sacramento River after the implementation of the TCD is another (albeit unintentional) by-product of the cold water: "The growth cycle of resident trout has been extended by thirty percent." With consistent water temperatures every day of the year, the resident rainbows on the Lower Sacramento are able to continue to feed - and to grow - 100% of the time. That means the fish can grow fast, sometimes exceeding their length with girth. 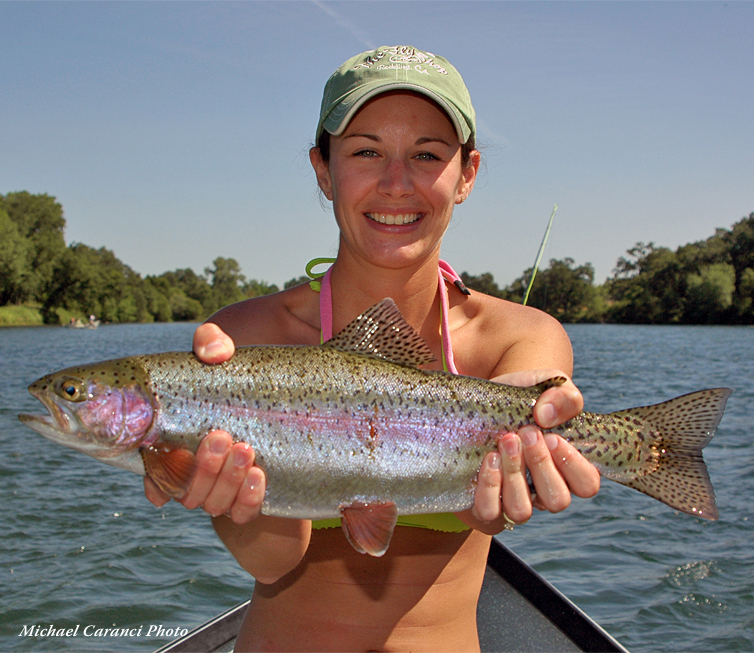 The average size of the rainbows on the Lower Sacramento is 16 inches, while fish over 20 inches are relatively common, and they are all fat and healthy. These trout are of trophy proportions, and growing up in the haughty currents of the Lower Sacramento River they are strong fish and full of fight. What's more, cooler water extending further south in the river has created viable trout habitat for an extended 50 miles or so. 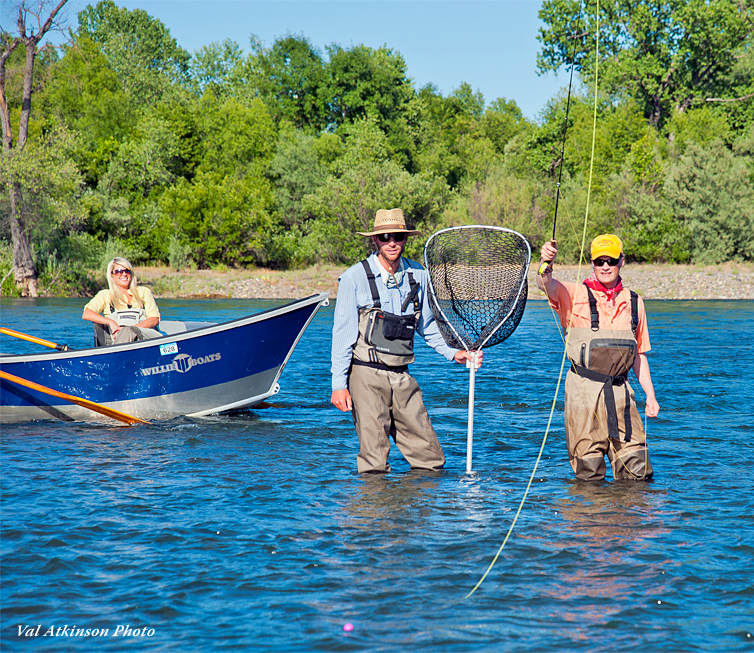 This means fly fishermen on the Lower Sacramento River are frequently able to spread out and avoid crowds. Even on the busiest of days, it is easy to find yourself catching huge trout on the river, without another soul around. Our Lower Sacramento guide staff is outstanding! Several have grown up on this river, learning how to fly fish and navigate the river from a young age. 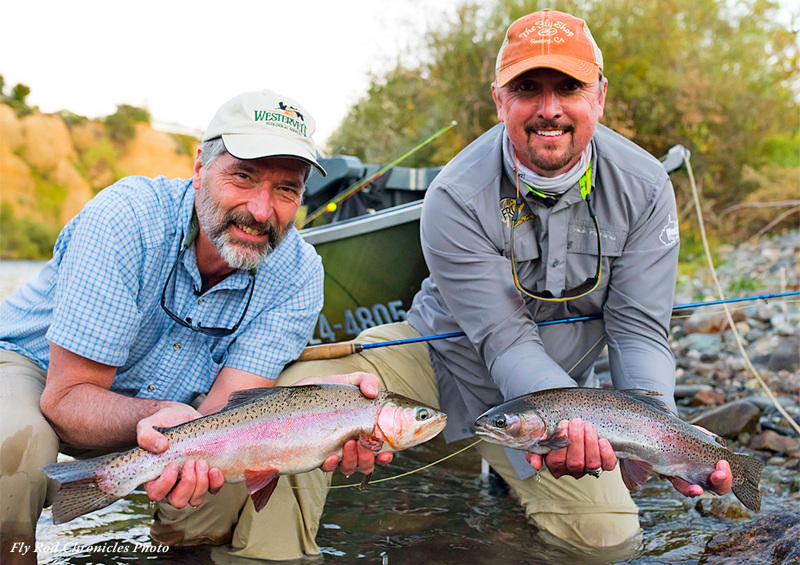 If you are planning a fly fishing trip to Northern California, our guide staff can turn that average fishing day into a great trip. 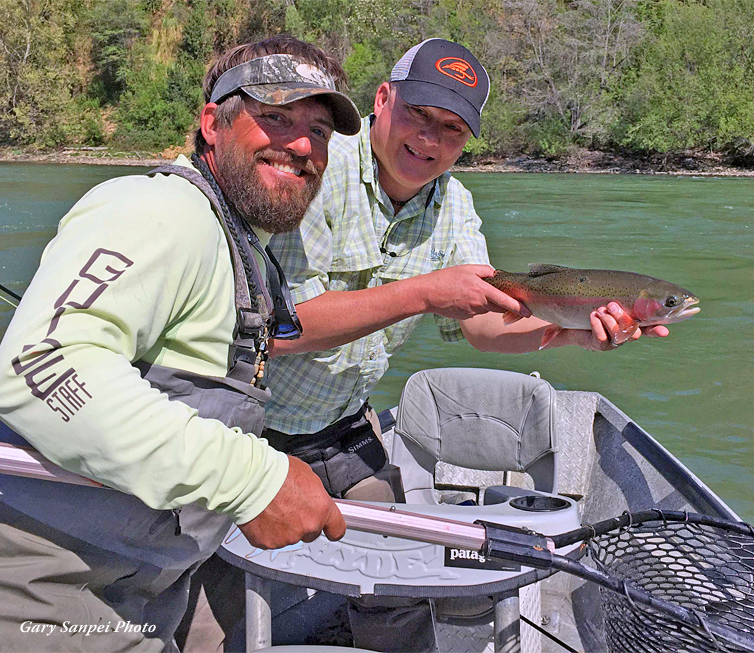 These river guides don't just provide the landed fish, they also provide an experience to remember. 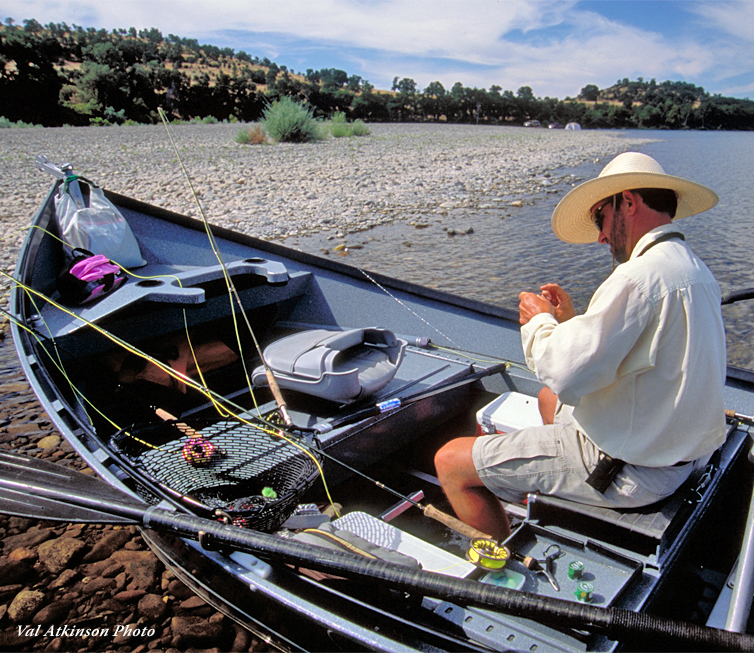 Most of the drifts that our guides cover on the Lower Sacramento River are minutes from The Fly Shop® in Redding. They are also close to several wonderful lodging options. • The Gaia Hotel and Spa is located just 3 miles south of Redding and The Fly Shop directly off of Interstate 5. We are a contemporary hotel with 120 guestrooms and suites and are located on the Sacramento River. We have an outdoor pool, Jacuzzi, Fitness Center, Living Waters Spa and a Full service Woodsidegrille and Lounge open 7 days a week. We offer discounted guest room rates for Guests of the Fly Shop. • Oxford Suites offers discounted rates for guests of The Fly Shop, has big, clean, comfortable rooms for a good price, along with complimentary buffet breakfast, central location, and a short walk to some great Redding restaurants. • The Hilton Garden Inn is conveniently located near The Fly Shop® and Bonnyview Boat Ramp, and even have rooms with views of the river. • The Super 8 is just up the road from The Fly Shop and not far from the Bonnyview Boat Ramp. It's rooms are clean and reasonably priced, with a convenient location. • Discover Northern California's newest hidden gem, Sheraton Redding Hotel at the Sundial Bridge - and experience contemporary elegance, resort-style comfort, and unmatched natural beauty. 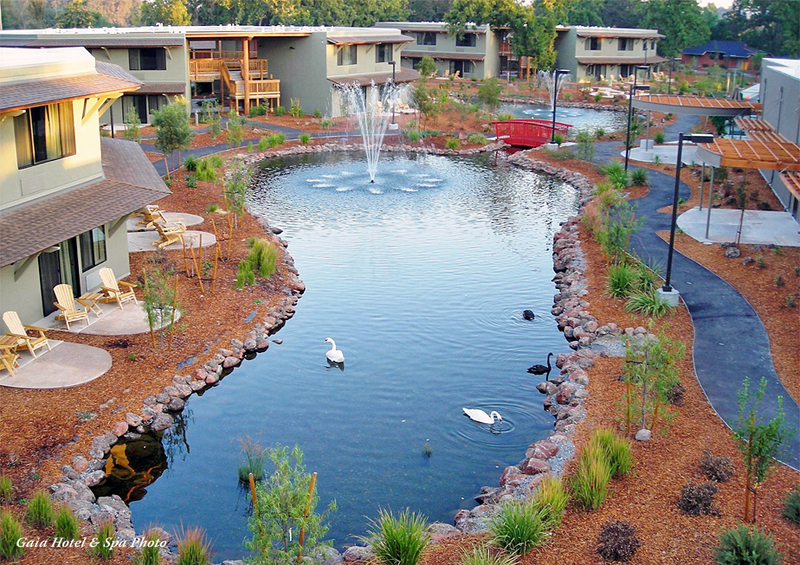 Nestled within the grounds of the 300-acre Turtle Bay Exploration Park in Redding, CA. 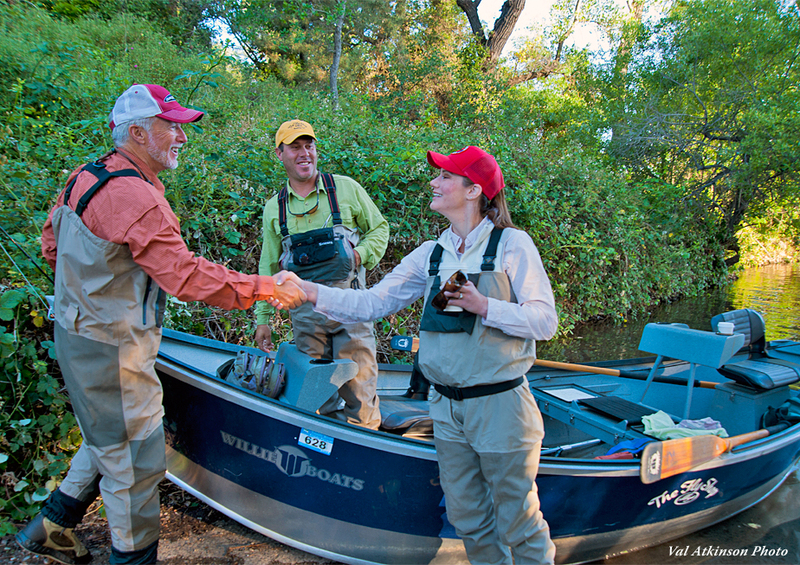 Most Lower Sacramento drift trips will start by meeting your guide at The Fly Shop®.